A 360 ° Approach to the New Year! ECR Austria is leading an initiative with the Austrian packaging industry to expand ECR concepts and practices in an attempt to assess future trends. In this, their first joint project called “Packaging 360 °” the group hopes to explore the untapped potential of collaborating and optimising processes along the supply chain. 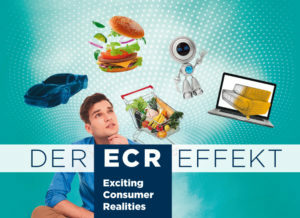 THE ECR EFFECT: Who can the consumer goods industry still learn from?